In January of 1819, Captain William Hodgson steered the three-masted merchant ship Transit down the River Avon from Bristol, beginning a six-month voyage toward the Mediterranean. 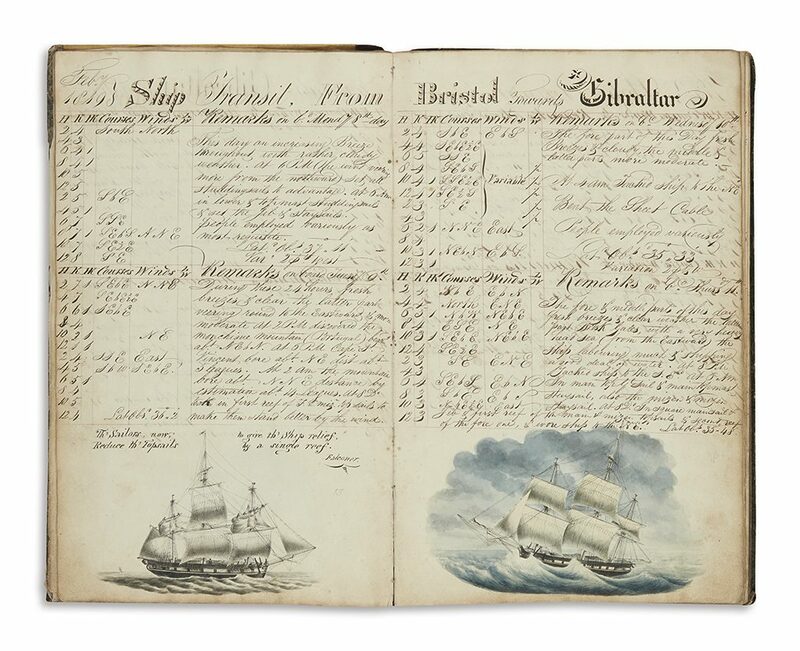 The ship’s log book he meticulously kept of the journey is one of the stars of our June 7 auction of Maps & Atlases, Natural History & Color Plate Books. with 35 watercolor drawings, at sea, 1819 and 1821. Estimate $3,000 to $5,000. 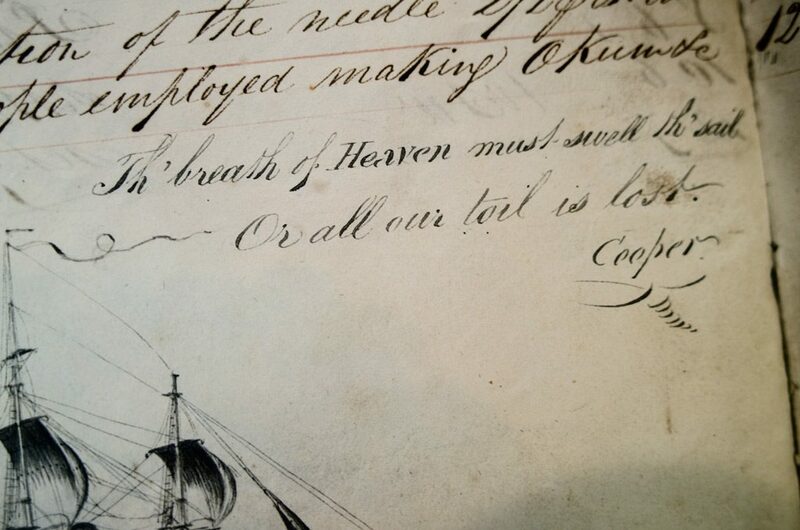 A ship’s log is a daily record of weather and goings-on aboard a vessel during its voyage. Content-wise, the present book contains routine recordings of very matter-of-fact information such as direction, speed, weather and crew chores. However, with this log Captain Hodgson has created an exceptional artistic presentation: the fine calligraphy of his headers and the surprisingly accomplished watercolor drawings of his own ships and others fashion a much more engaging and unique portrayal of the trading vessels’ voyages through the Mediterranean. 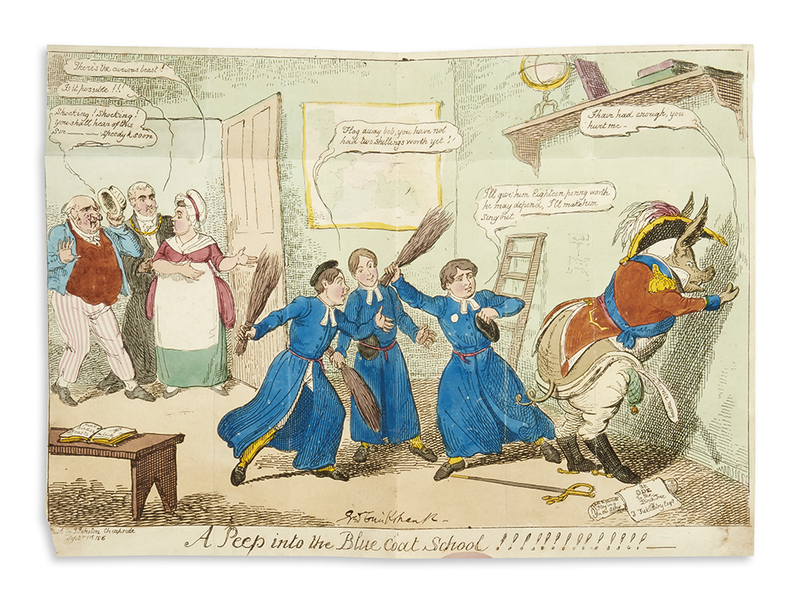 Most logs of this period contained illustrations or crude drawings, once described to Specialist Caleb Kiffer as looking “like jailhouse tattoos.” The quality of Captain Hodgson’s finished watercolor drawings far exceeds that description. Lot 296: William Hodgson, Journal of a Voyage, bound volume of two manuscript logs, with 35 watercolor drawings, at sea, 1819 and 1821. Lot 296: William Hodgson, Cowper poem in Journal of a Voyage, 1819 and 1821. Estimate $3,000 to $5,000. The volume contains logs of two different vessels’ voyages to the Mediterranean on which William Hodgson was the master. 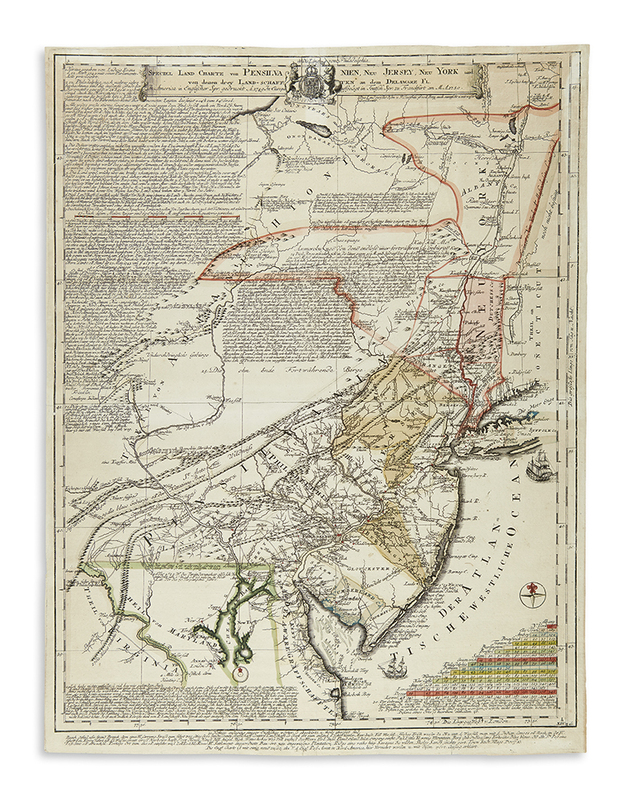 The first chronicles the voyage of the Transit from January to June, 1819, from Bristol to the Mediterranean; the second was written aboard the two-masted ship Astræa on her voyage from London to the Mediterranean in 1821. Both were small trading vessels out of England. 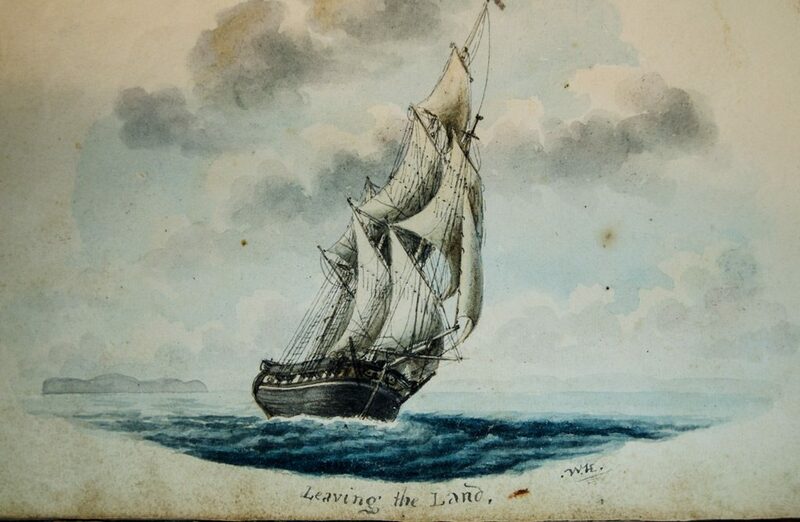 Lot 296: William Hodgson, Leaving the Land, from Journal of a Voyage, 1819 and 1821. Estimate $3,000 to $5,000. Mostly he depicts the two ships from different angles, in various ports, in calm and choppy seas, and at different times of the day, including tranquil sunrise and moonlit scenes. Portraits of the occasional ship encountered on the voyage are included, as well as landscape coastal profiles and the Rock of Gibraltar. 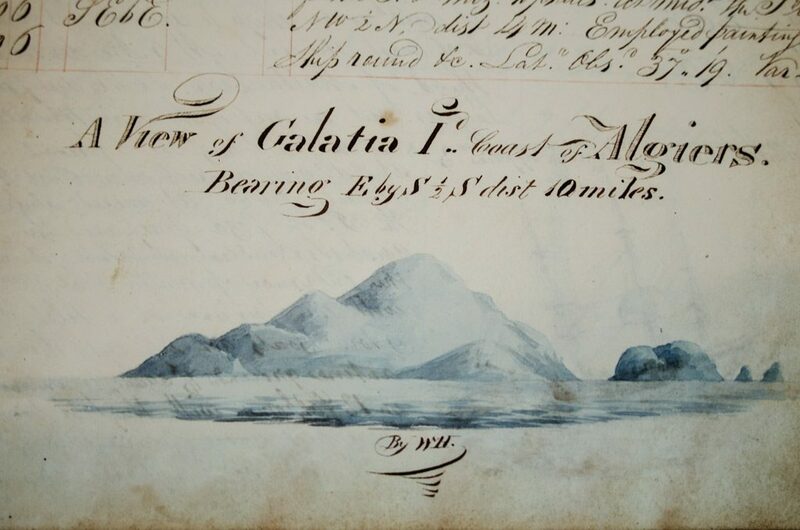 Lot 296: William Hodgson, A View of Galatia Island, Coast of Algiers, from Journal of a Voyage, 1819 and 1821. Estimate $3,000 to $5,000. 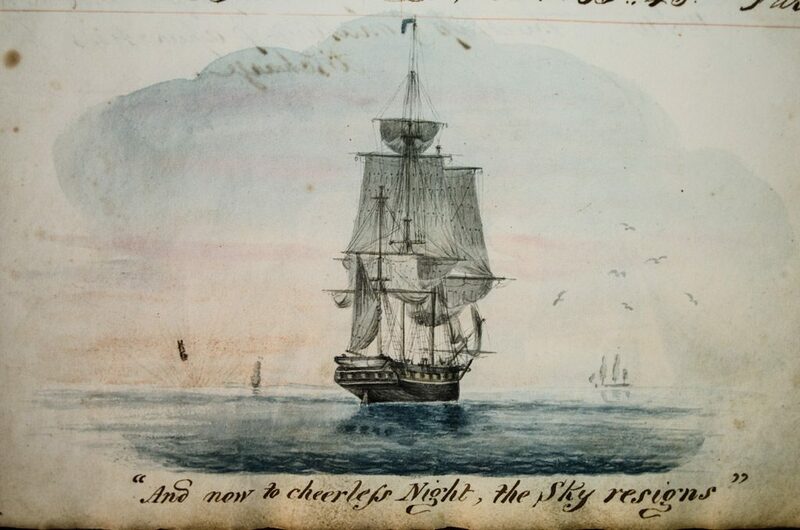 Towards the end of the first voyage, Captain Hodgson seems to have gotten sick of his endeavor, as the drawings become less detailed and in some cases are not even included. The next journey he begins with renewed vigor. His pages are more precisely organized and each rope in the sails is delineated. 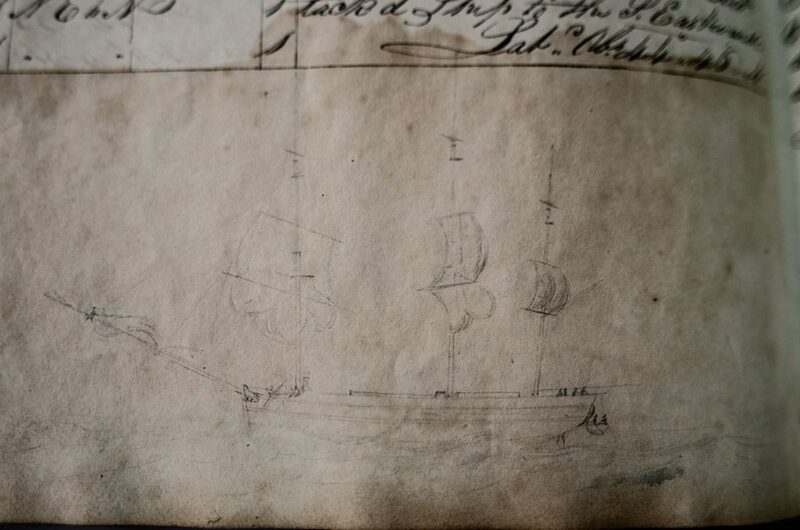 Lot 296: William Hodgson, sketch of a ship in Journal of a Voyage, 1819 and 1821. Estimate $3,000 to $5,000. Find more in the full catalogue.